Cube the meat and vegetables to similar sizes. Assemble the marinade by combining the oil, vinegar, salt, pepper, herbs and zest; reserve some to drizzle on the meat after it comes off the grill. 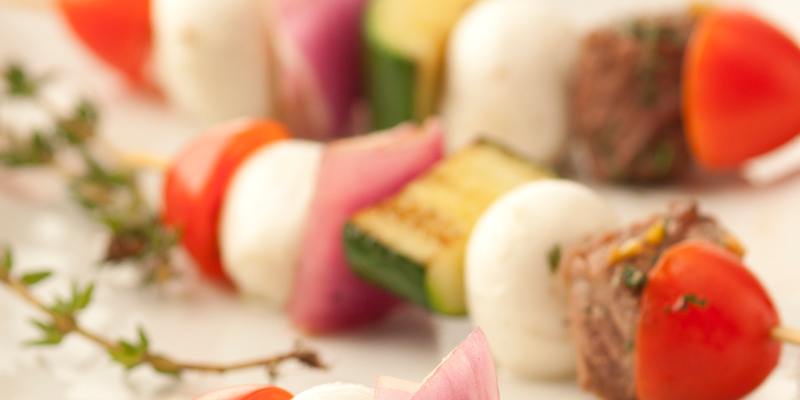 Assemble the skewers, starting with the fresh mozzarella. Grill the skewers for 5-6 minutes.